Our law enforcement officer are under constant verbal attacks and their authority to enforce any violations is constantly being challenged and second-guessed. The criminals are not the only people in our society disrespecting our uniformed officers these days. Our officer are normal people with family and children. They have a tough job to do and they deal with the ugly in our society and try to keep the lid on criminals and the violence they bring unannounced to an innocent victim at any time and any place. The Reality of the Job! 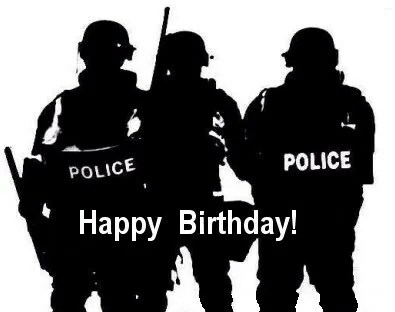 Officers are never called to a home to wish someone a happy birthday. The officers are dispatched because of a loud noise complaint from a neighbor and now have become the bad guys for making the homeowner quiet the noise. Officers do not show up in the early hours of the morning to congratulate parents for their daughter receiving a college scholarship. 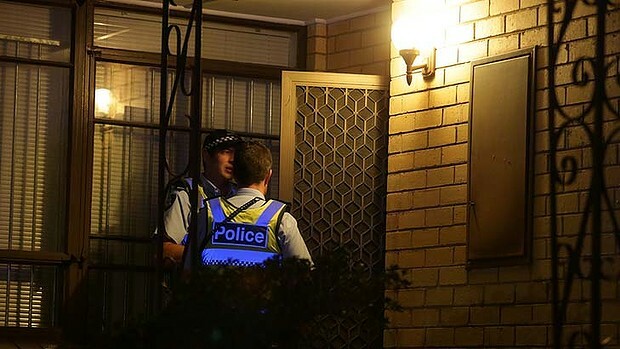 The officers ring the doorbell knowing they bring devastating news that their 17-year old daughter was killed in a car accident. Officers are only remembered for the bad news they were forced to bring that cold rainy dark night. These are only a couple examples of the reality that our officers face on any given shift. They have a tough job and they are also people with feelings. Our officers deserve our respect and cooperation when they are doing their job. Policing has always been a tough and dangerous profession; however, times have changed and the mood towards government authority has turned hateful, mean, and disrespectful. Police officers are the most visible sign of our government and the national mood has taken it out on our protectors. Do we really want our children growing up learning to disrespect the men and women who protect us? 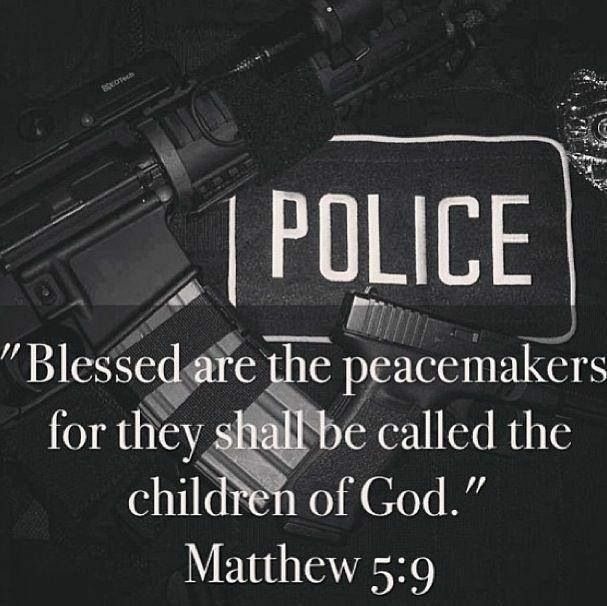 Posted in Mark's Articles and tagged #BlueLivesMatter, Criminal Justice, Leadership, Police. Bookmark the permalink. Thank you for this post! It made me feel a bit better after i was given “the finger” by some randomness stranger walking down the road as i was on patrol yesterday 😦 i just don’t understand. The media can be blamed for most of this disrespect. I’m not a news watcher, yet today I have heard a story of a cop in MN beating his K9, and security officers beating a 15 year old at a mall. Where are all the good stories? 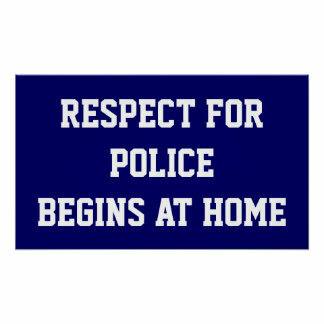 Our children will not grow up learning to disrespect the men and women who protect us, unless the parents of that child are hateful, mean, and disrespectful for a start. It is most unfortunate that lately there have been some high profile cases involving Law Enforcement Personnel who have not displayed best behaviour; the media will latch on these and blow it out of all proportion. Not dissimilar to branding all Muslim as terrorists, maybe because all terrorists are musilms. As an ex traffic cop I have experienced first hand the hatred against me for delivering sad news, on one occasion the mother of a road fatality hit me with a sauce pan . . . go figure that! All one can do is shake one’s head, say “whatever” and carry on. By the time I retired my skin what thicker than a rhino, and for those who care to touch it, it was warm and soft. To serve and protect is not an easy job, in fact it’s not a job at all, it’s a vocation and, as most vocational careers, it’s fulfilling and, at the same time, frustrating. General mistrust of the Government is a big factor too. Like it or not, LEO’s represent the government to a lot of people. The trend for many agencies to use law Enforcement for revenue ( red light cameras, etc.) leave a sour taste too. I am a retired Police Lieutenant, and I agree with the article, but I think it is important to look (and think) like the general public, and their perception(s) of the police. Understanding why many feel like they do, can only help.